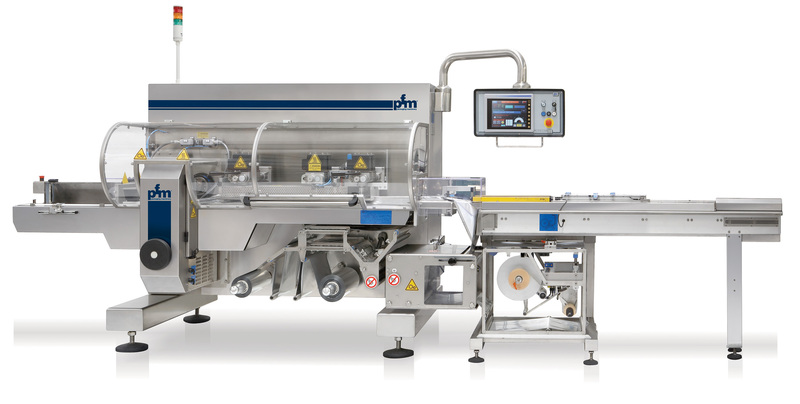 Scirocco is a flow-pack servo assisted horizontal wrapping machine for producing wraps hermetically sealed on three sides from a reel of heat-sealed wrapping material. The machine has been designed for Modified Atmosphere Packaging and constructed in such a way that all its parts can be cleaned. SCIROCCO POCKET BAG for reclosable packs which can be opened and closed thanks to our system that utilises a single reel of thermo sealing film..
Construction in AISI 304 stainless steel.